The church of Our Lady of Mt Carmel and Sts Peter and Paul is in the small rural Western Australian town of Mullewa. The church was built between 1920 and 1927 to the design of Monsignor John Cyril Hawes, who was the priest at Mullewa. His design for the church changed following a study tour to France, Spain and Italy in 1923, and Hawes stated that the style was inspired by twelfth-century churches found in southern France. 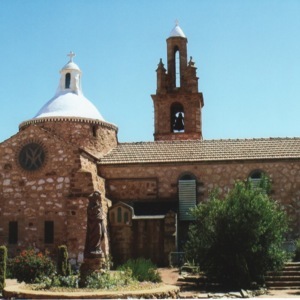 The exterior of the church is in Romanesque style with possible Byzantine influence on the two domes. It features a bell tower (campanile), semi-circular arched windows, columns, and bas-relief sculpture. For more on the architecture of Monsignor Hawes see John J. Taylor, Between Devotion and Design: The Architecture of John Cyril Hawes 1876-1956 (University of Western Australia Press, Nedlands, 2000). 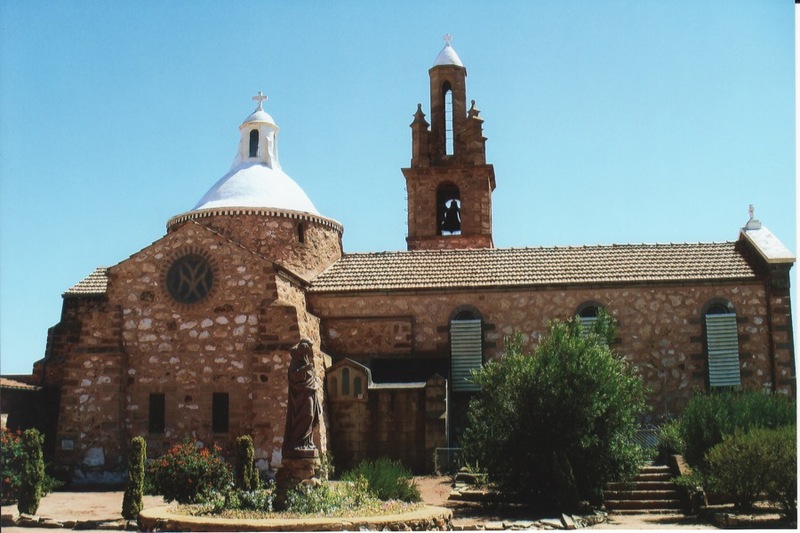 “Our Lady of Mt Carmel and Saints Peter and Paul, Mullewa,” Medievalism in Australian Cultural Memory, accessed April 23, 2019, http://ausmed.arts.uwa.edu.au/items/show/938.